Rich in historical events and colorfully written, this fascinating account of women in the church spans nearly two thousand years of church history. It tells of events and aspirations, determination and disappointment, patience and achievement that mark the history of daughters of the church from the time of Jesus to the present. The authors have endeavored to present an objective story. The very fact that readers may find themselves surprised now and again by the prominent role of women in certain events and movements proves an inequality that historical narrative has often been guilty of. This is a book about women. 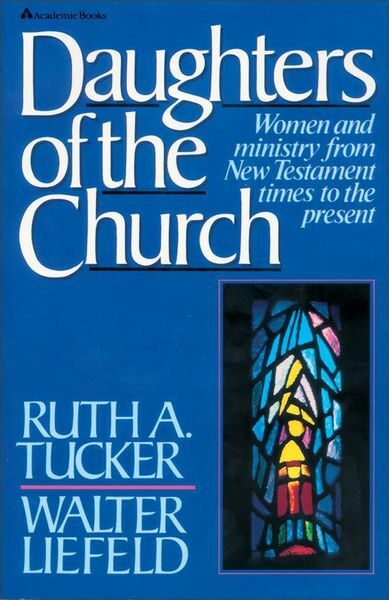 It is a setting straight off the record -- a restoring of balance to history that has repeatedly played down the significance of the contributions of women to the theology, the witness, the movements, and the growth of the church. An exegetical study of relevant Scripture passages offers stimulating thought for discussion and for serious reevaluation of historical givens. This volume is enriched by pictures, appendixes, bibliography, and indexes. Like many of the women whose stories it tells, this book has a subdued strength that should not be underestimated.